Make it Through the First Week of Kindergarten – Check! My first week of Kindergarten classes went a lot better than expected! 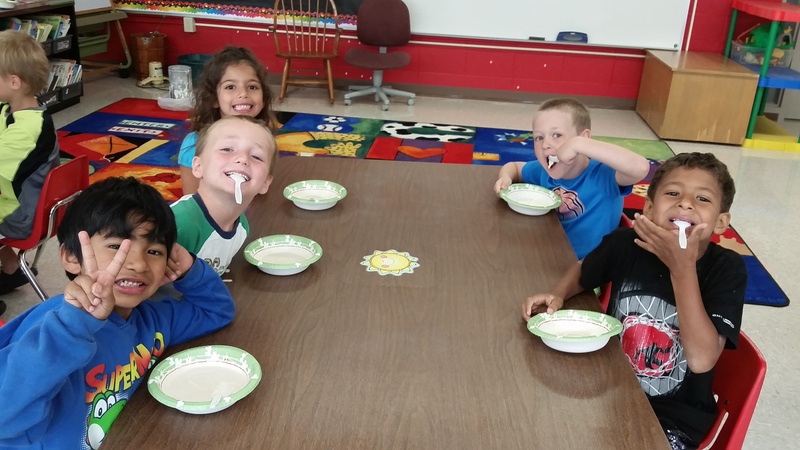 On the first day, Tuesday, the students learned about the process of making ice cream—the unit of the week was On the Farm—so ice cream, cows, animals, and the ice cream making process was all included in one of the first day stories and cut-and-paste activities. 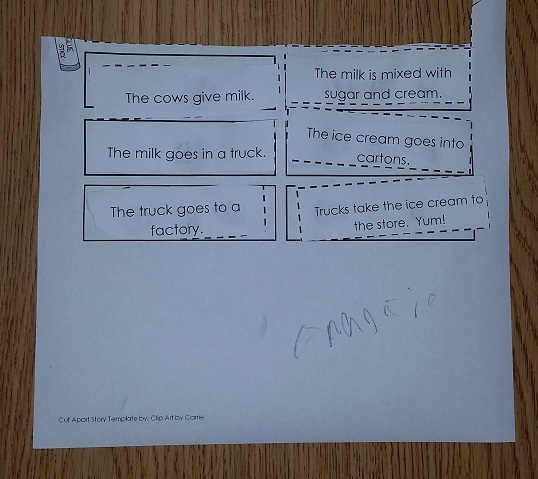 A cut-and-paste activity for how to make ice cream! 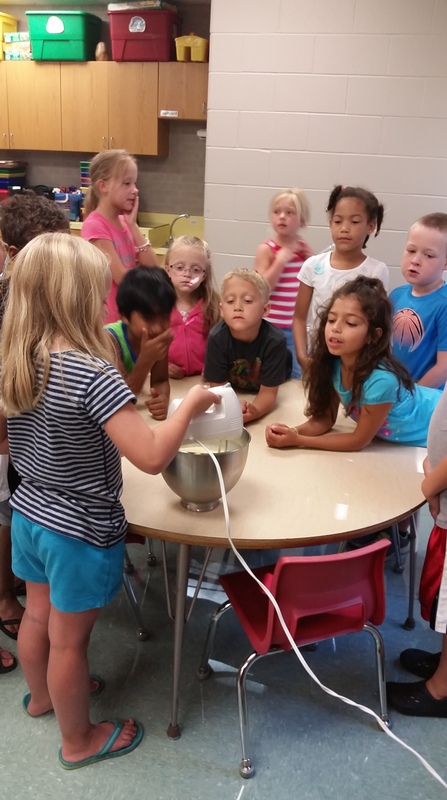 Thursday was the day to bring everything together, so our head teacher brought in her ice cream maker and ingredients from home to make ice cream with the kids. I loved this idea! After breakfast and talking about the date, this was one of our first activities. 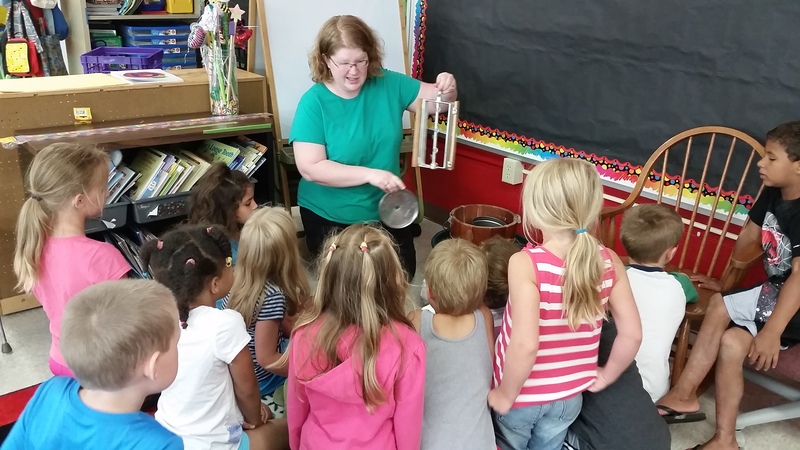 As the teacher explained each ingredient, she asked questions and gave every student eye contact so they felt important. 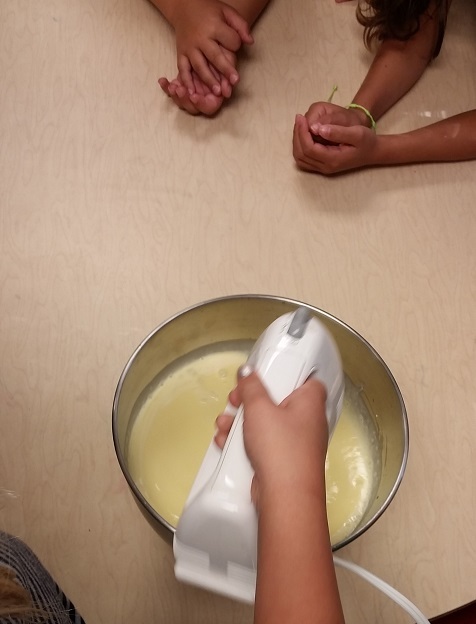 Then, as she added ingredients, she let each student have a turn mixing! It was so cute to see their faces and excitement as the yellow eggs blended with the white cream and brown vanilla. They were having such a ball playing with the mixer and smelling the bowl as each different item was added! The class of 13 gathered around this tiny table to see the mixing process and take turns! Getting to use an electric mixer! After stirring the mix, it was poured into the ice cream maker and covered with ice and salt on the outsides for it to stay frozen while churning. The students sat inches away, completely entranced by the process. It was hard to pull them away! As the ice cream churned, we moved the students to a writing and sentences activity about what animal they would want for a pet. What really stuck out to me about this lesson was the focus by the head teacher on the sounds of words rather than correct spelling. As she made sentences together with the class, she would sound out the letters/words and write them as they sounded on the board. For example, ‘I will fed it’ was the phonetic/sound way of writing ‘I will feed it.’ This, in my opinion, was strange because it wasn’t showing the correct spelling of words. I felt that eventually the kids would be super confused when they find that ‘fed’ is actually not how you spell ‘feed’ or ‘luv’ is not the same as ‘love’. However, seeing this approach to writing was something new, and I appreciated the fresh perspective. I don’t think that there’s a ‘right’ or ‘wrong’ way of teaching. Perhaps focusing on the sounds and not so much on being correct is smart. Maybe writing words as they sound helps to rid students of the fear of being perfect and allows them instead to just write. 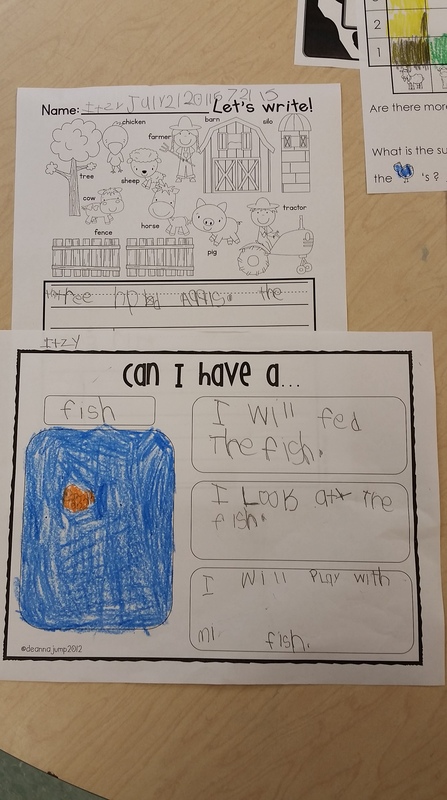 One student’s work, choosing a pet he/she would like to have and why. By the time the writing was over, it was time for ice cream. And boy was it delicious! I’ve never seen someone make ice cream from scratch with just milk, cream, eggs, vanilla, and sugar. It was seriously the creamiest, most flavorful ice cream I’ve ever eaten! And the kids loved it, too! 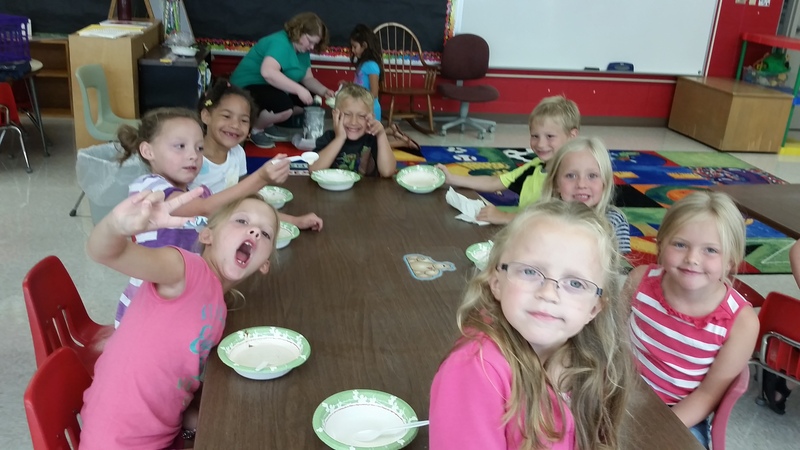 Enjoying ice cream and being silly! < School’s [Not] Out for the Summer!